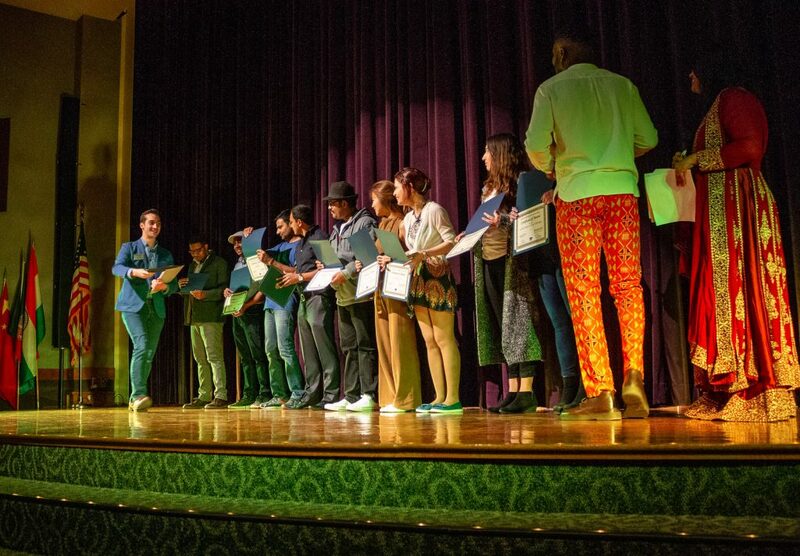 The International Coordinating Council held a week of events to celebrate Kansas State University’s international students, culminating in a talent show Saturday night that was filled with dancers, singers and other acts. 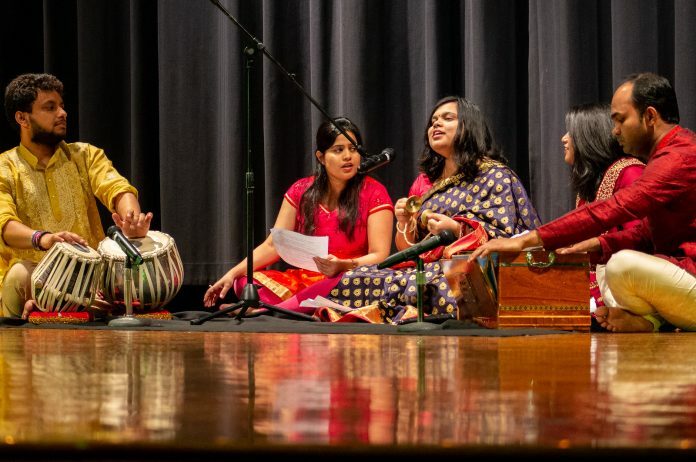 Each performance at the International Students Week talent show was intended to give spectators a glimpse into the country the performing students originated from, along with the many ways music and dance are interpreted across different parts of the world. For some of the performers, this was their first time on a stage. 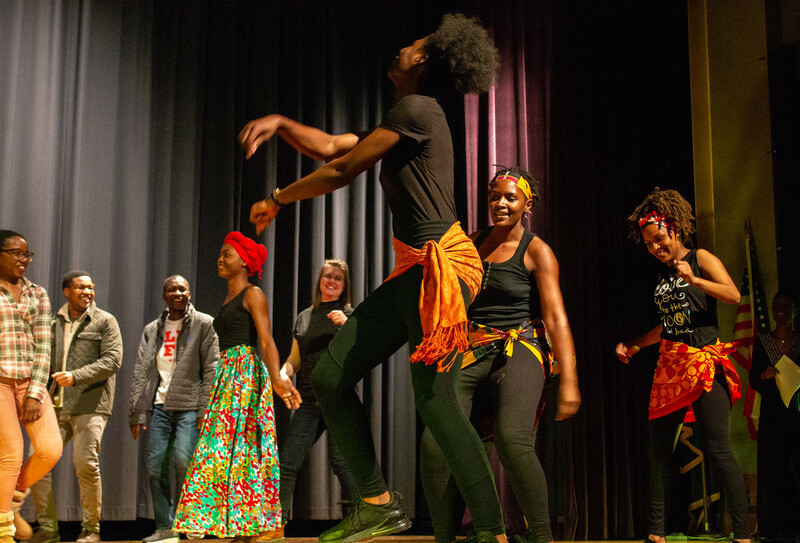 Dominica Genda, graduate student in veterinary biomedical science, represented the continent of Africa through a dance with some of her friends. “We were in the fashion show representing [countries] individually, and then we came up with the idea, ‘How about we dance for Africa? '” Genda said. Genda also spoke about her experience performing in the talent show. “I was nervous before, but when I got there, I don’t know, the energy started flowing and it just came naturally,” Genda said. The evening of the talent show was also filled with giveaways and a look back on the events of this year’s International Students Week. However, the night was not just about highlighting student talents; many international students were awarded scholarships to help them continue their education at K-State. Buddhika Aththanayaka, graduate student in mechanical engineering, was awarded with the Willam L. Richter international scholarship. Aththanayaka said this scholarship will help him concentrate on his studies. “It’s a huge relief for me, and it will also encourage me to do extracurricular activities,” Aththanayaka said. Aththanayaka then elaborated on why these scholarships are important to international students. The talent show not only gave international students the chance to celebrate their own cultures, but learn about others as well. Dhruthi Singamsetty, president of the International Coordinating Council and senior in biology, spoke about why events like these are so important.